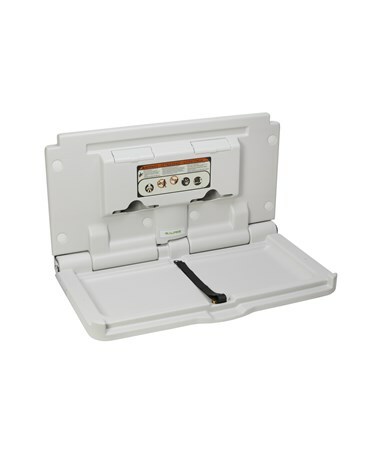 The Alpine Industries Horizontal Baby Changing Station is designed to provide support and protection for babies and small children for their diaper and cloth changing needs. 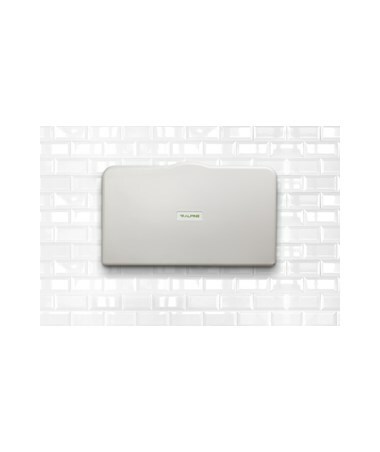 A must for restrooms in offices, commercial establishments, and other facilities, this sleek and modern Changing Station provides a comfortable and secure place for your little one during its use. 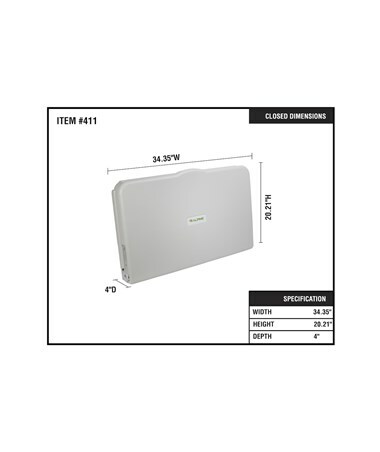 The high density polypropylene plastic body is enhanced with a protective antimicrobial coating for hygienic purposes. It effectively meets global ADA, FDA, & ASTM safety standards for enhanced child protection. 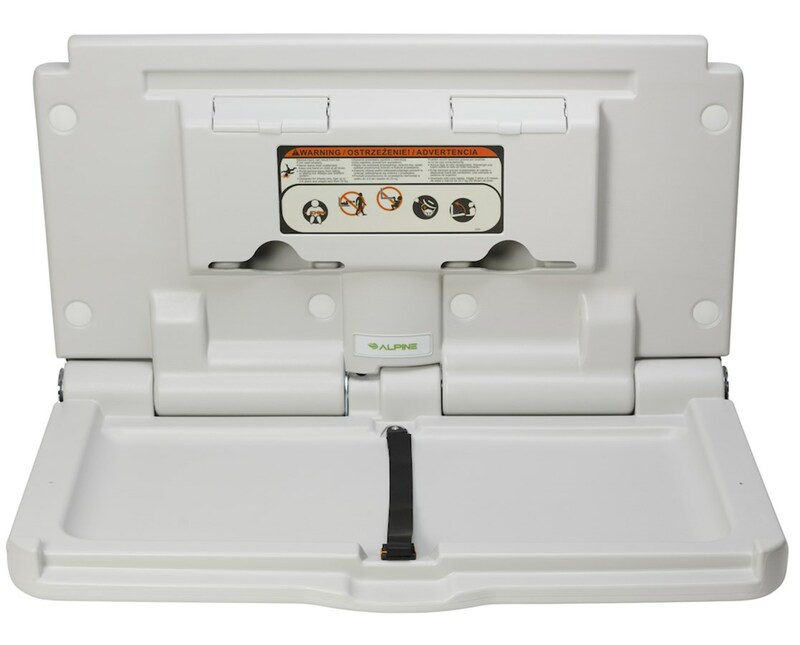 This Changing Station can accommodate children up to 50 lbs, when properly installed. 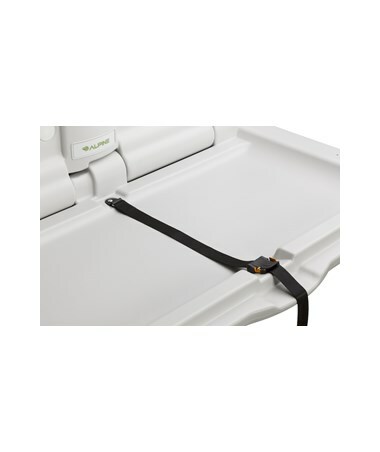 The concave resting surface is equipped with a safety belt, for a secure and comfortable hold for your child. Table liners are added from two 50-liner dispensers, and are easily accessible for a quick clean up. 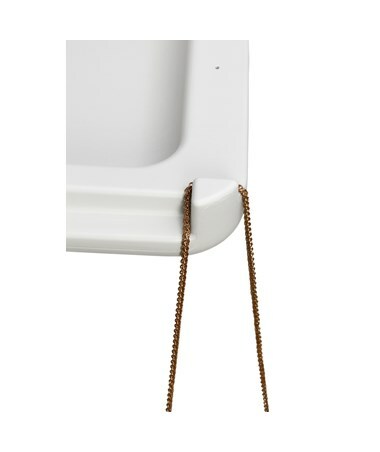 Two side hooks are conveniently placed to hold the diaper bag and other personal items. 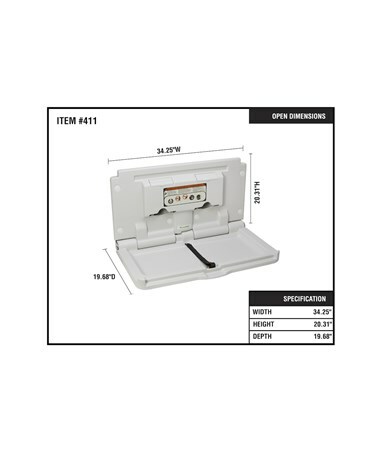 Includes mounting hardware and multilingual instruction for easy installation. It is easy to clean and maintain, and is built to last for years. 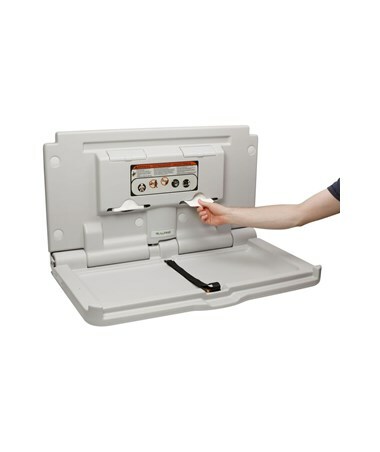 The Alpine Industries Horizontal Baby Changing Station weighs 25.02 lbs. and measures 20.31" H x 34.25”W x 19.68”D. Includes 5-year limited warranty. To purchase this product, simply click "add to cart" above to complete your online order in a few easy steps. 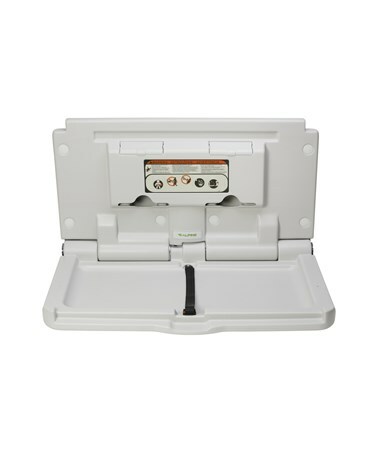 Tiger Medical offers a 30 day return policy from date of shipment for this product. The product must be in brand new condition and in its original packaging. Return Shipping is the customer's responsibility. We take the responsibility to make sure this product arrives in brand new working condition. Should your item arrive damaged, we will replace the product at no cost to you.